A new analysis of Neanderthal DNA showed today’s humans have more of it than scientists previously thought. A research published Thursday in the American Journal of Human Genetics found today’s humans probably have between 1.5 and 2.1 percent Neanderthal DNA from interbreeding across Europe and Asia between 130,000 and about 50,000 years ago. A female Neanderthal bone estimated to be about 52,000 years old contained DNA that could be more completely sequenced than a previous sample of an Altai Neanderthal had been. 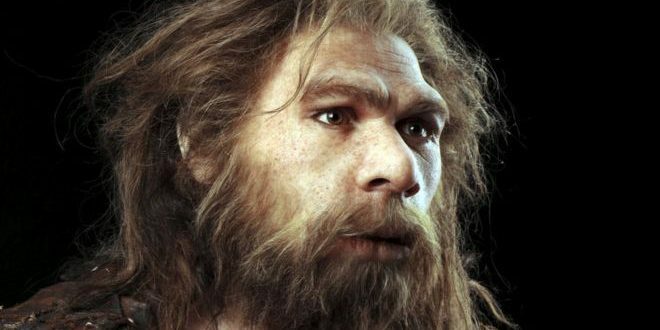 The study also showed which current human traits may be influenced by Neanderthal DNA. Genes associated with LDL cholesterol, vitamin D, eating disorders, visceral fat accumulation, rheumatoid arthritis, schizophrenia, and reactions to antipsychotic drugs were all influenced, which leads to a general conclusion that Neanderthal DNA increases disease risk for present-day humans, particularly with reverence to skin diseases and absorption of light. Since the Neanderthals lived in more northern regions for 100,000 years before Homo sapiens did, scientists think it makes sense that their skin would be more adapted to less direct sunlight, as many of these genes (but not all) express, The Scientist reported. While the adaptations may have helped them survive where they lived, they may make people now more susceptible to some conditions. The modern human DNA compared with the Neanderthal DNA all came from a bio-bank in the U.K., which may have limited the scope of the results in some way, NPR reported. Most previous research also used humans of European ancestry. Neanderthal as you will fins on this planet in this day and age. Evolution is a scam. Watch Kent Hovinds movies for scientific proof evolution never happened. God created the universe 6,000 years ago. Studies show that humans have dna from the first bacteria to colonize earth. We know this because we process sugar into energy just like they do , something inherited by most every life form on earth. Come on … how far back do you want to trace dna ? It goes all the way back to the first life on earth , we already know this. We already know we’re the product of evolution that goes all the way back to the beginning. Yet you insist on presenting this as if it were some new and exciting discovery. Grade 9 High school biology , people. That’s all I’m saying. Grade 9 High School biology.